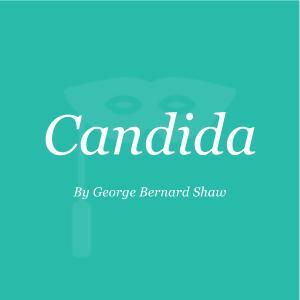 One of George Bernard Shaw’s lesser known works, Candida examines marriage and the relationship between husband and wife in the late Victorian era. It centers around Candida Morell, a beautiful and charming woman who is married to Reverend James Morell, a dedicated Christian socialist. The couple have taken in Eugene Marchbanks, a young, idealistic poet, who Morell found sleeping on the Embankment in London. Candida finds herself the subject of a tug-of-war between the two men as Marchbanks declares his passionate love for Morell’s wife. The crisis reaches its peak when Marchbanks challenges Morell to question Candida’s love for him and the true state of his marriage. Marchbanks believes that Candida deserves his eternal love and devotion, observing that household chores and domestic expectations are far beneath her. Alternatively, Morell believes that his wife needs his care and protection. However, neither man’s expectations of Candida are correct. Ultimately, she declares that she loves and must be with the “weaker of the two”--her husband. Morell is the man that needs her care and protection, who is selfless enough to step down when he believes she may love another, and the man to whom Candida wishes to be “the sum of all loving care”.